This work can be done by a ‘Friends Group’. The basics are usually things such as sweeping platforms, litter picking, planting flower beds and planters. 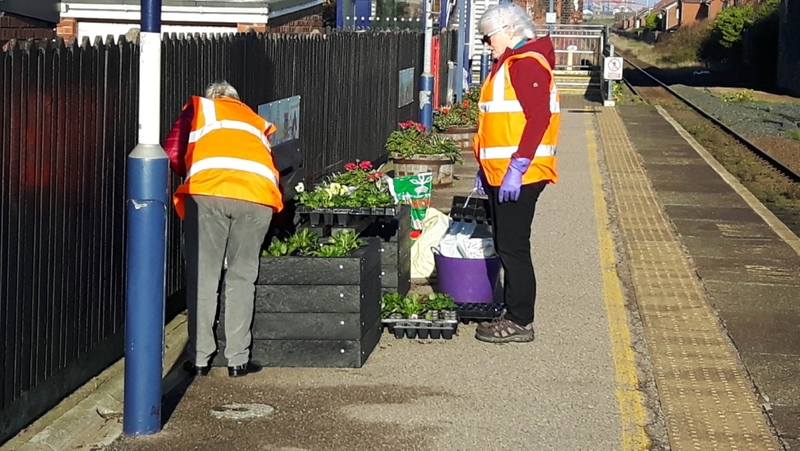 The train operator also welcomes our help in reporting faults on the station such as damaged fencing or faulty lights and generally being around to make it look as though it’s a pleasure to use. It is usual for such groups to meet once a fortnight during the period March – October, but that would be down to the membership to decide. It is also hoped that members would be the ‘eyes and ears’ on the station outside those times where possible and discreetly report anything that looks damaged or if they see any anti-social behaviour. If you feel you would be able to join such a group then we would like to hear from you. There is no pressure to attend any or all of the events, after all it is voluntary. (Any person under the age of 16 whilst welcomed, would need to be accompanied by a responsible adult (e.g. parent) and would require parental assent if they wish to join. No lone working. There is no maximum age so long as they are fit and healthy). 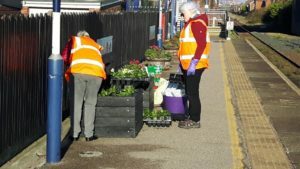 What do ‘Friends of Stations’ groups do? The short answer is ‘as much or as little as you like’. 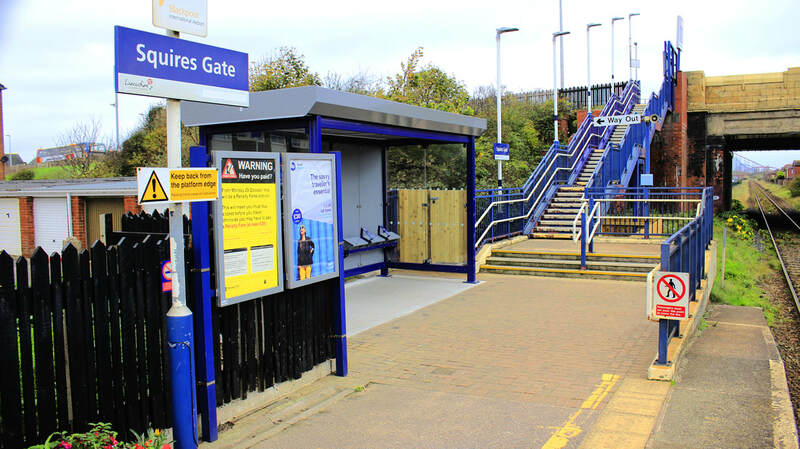 One thing we have to do is to make sure that Northern and Network Rail (Infrastructure owners) know that we want to be Station Friends and approve us. 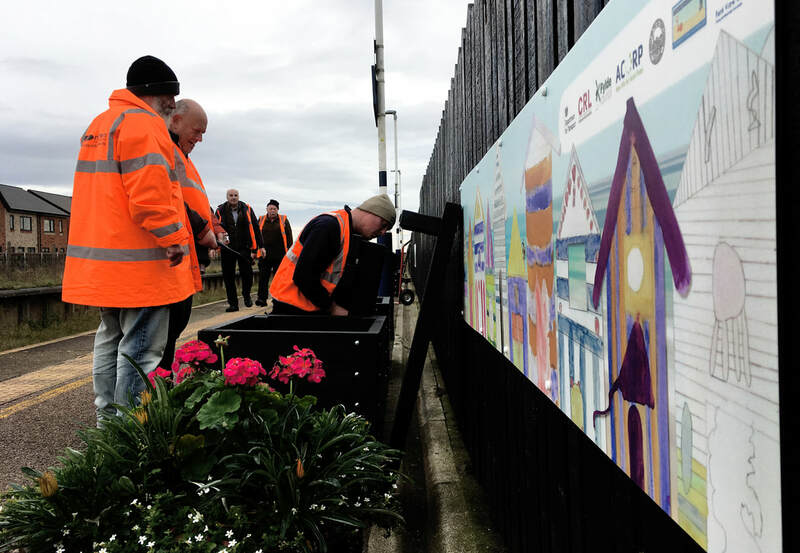 As our group grows we can seek funding for projects and/or get involved in all sorts of Community Rail activities. 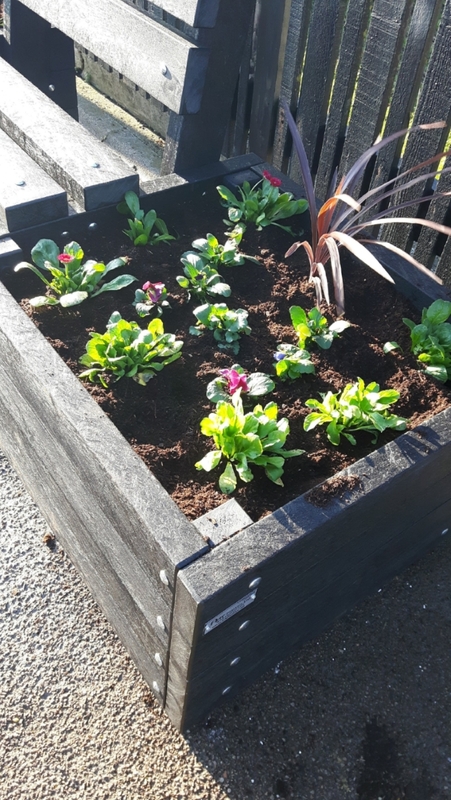 Many groups brighten up their stations with children’s artwork and our local community rail partnership has already paid for running boards and seats with planters on the platform as you will see from the photos included in this information. 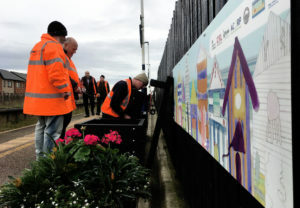 It is anticipated that at some stage links could be made with the local business communities and schools in the area so that they can be involved in some kind of partnership to develop the station and its ongoing use. ​Squires Gate has a lot of potential not least with the Energy College, Food, Electronics, Home ware, other Retail stores and Support Services that reside on the Airport Enterprise Zone. Effectively you can become involved in a community activity to share your knowledge and skills with others for the enjoyment of all who use the station. The Chairman of the Friends of St Anne’s and Squires Gate Stations Councillor Tony Ford (St Anne’s Friends currently cover Squires Gate) said that the station is the only one on the South Fylde Line that does not have its own Friends Group. 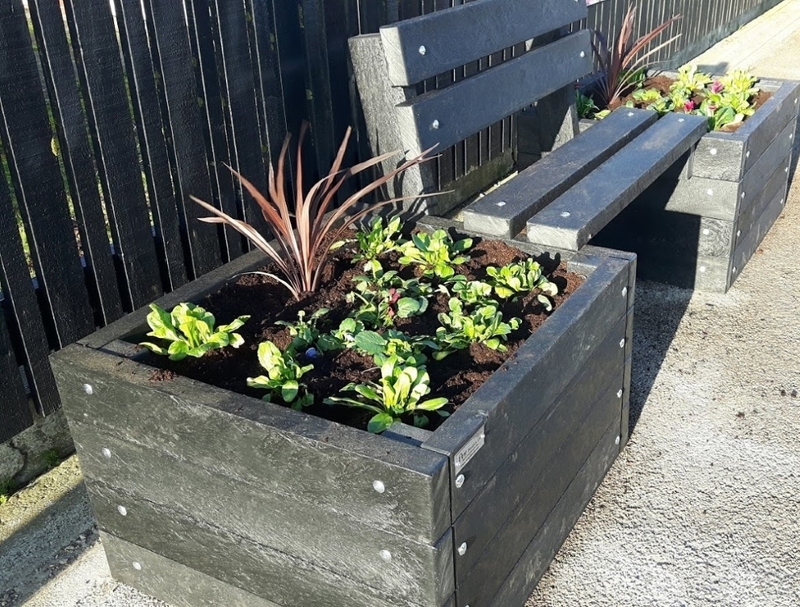 If you want to ‘dip your feet in the water’, why not visit one of the teams already active at Moss Side, Ansdell & Fairhaven, St Anne’s on the Sea, Lytham, Pleasure Beach or Blackpool South. 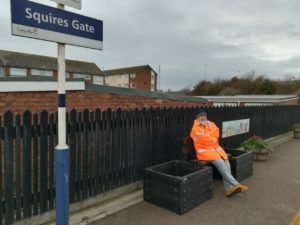 You can see what they do and then decide on whether it’s the kind of thing you would like to get involved in to help develop Squires Gate station.